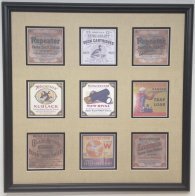 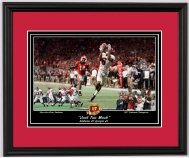 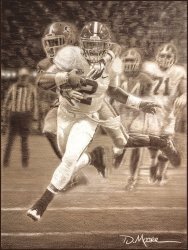 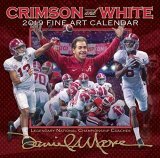 Alabama and Auburn Framed Prints - Daniel Moore "The Tradition Continues"
Daniel Moore "The Tradition Continues"
This print commemorates the 1993 Sugar Bowl and National Championship game against Miami at the Superdome in New Orleans, La. 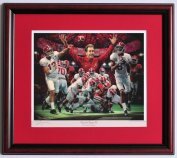 This print depicts Coach Stallings on the shoulders of the 1992 team, game heroes Derrick Lassic and George Teague, and All-America ?Bookends? 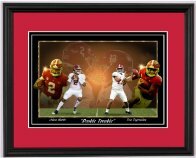 Eric Curry and John Copeland.